This blog has been weighing more towards outfits and fashion and left all other aspects untouched. In an attempt to drive it back to my original intention, I'll try to feature more inspirational posts for decor and travels and the styles I like in general. You know, throw in my two cents for anyone who cares. Today's post features two contemporary living room set I'm currently loving. 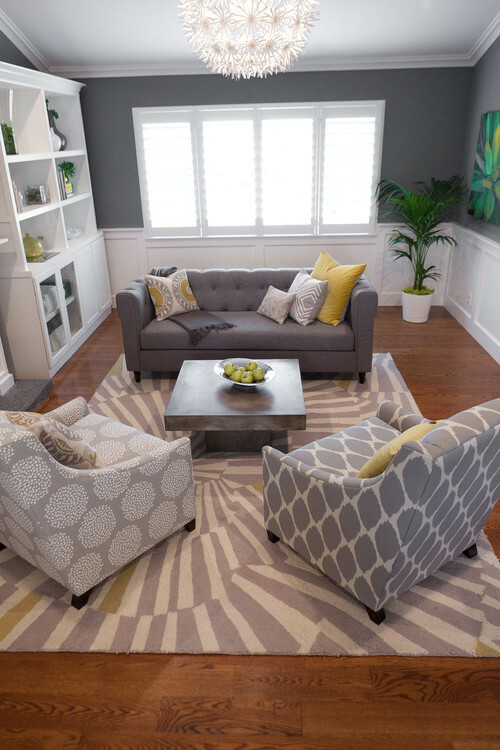 In the first picture, I love the play with patterns and pop of color with the accent decor and pillows. At first glance, it looks like there's a lot going on, but the neutral and soft colors with the white background creates a soothing and fun space. I love the second picture. In fact, I wouldn't mind my living room looking like that. It feels warm and welcoming. Again with the neutral colors, I guess you can't really go wrong with that color palette. Loving the different shades of brown and the simple and clean furniture.